Half of all likely Democratic primary voters in Massachusetts’ 7th Congressional District, which also includes the capital Boston, believe that the construction of the $2.4-billion Wynn Boston Harbor should continue now as Steve Wynn is no longer at the helm of Wynn Resorts, a poll by local radio station WBUR shows. The casino mogul resigned as Chairman and CEO of the Las Vegas company earlier this month in the wake of sexual misconduct allegations against him. Wynn Resorts was licensed to build and operate one of Massachusetts’ first commercial casino resorts, after voters had approved legalization of casino gambling in a statewide referendum. The Las Vegas casino company was selected as the preferred developer for a resort in the Greater Boston area. Wynn Resorts is currently building a $2.4-billion complex along the Mystic River in Everett, a city located not far from Boston. The property is set to feature different accommodation, food and beverage, retail, and entertainment options as well as a casino with both slot machines and table games. 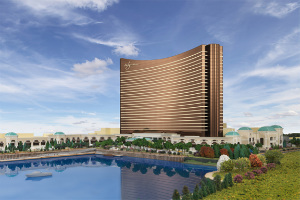 Wynn Boston Harbor was slated to be completed and launched in the spring of 2019, but following the allegations against Mr. Wynn, its fate is currently quite uncertain. 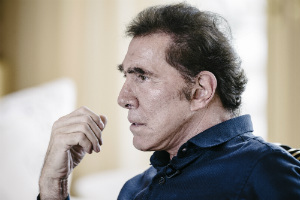 A poll conducted by local polling group MassINC and commissioned by radio station WBUR showed that 50% of all Democratic voters from the state’s 7th Congressional District agree that the construction of the resort, which has been touted as major future tax revenue contributor and employer, should go forward now as the casino magnate is no longer involved in Wynn Resorts’ operations. Another portion of the state’s Democratic voters (23%) believes that the project should continue but only if another developer takes over. Approximately 20% of the interviewed individuals call for the project to be nixed altogether. The remaining 7% have refused to express their opinion or have responded they have no opinion on the matter. The poll further shows that 64% of all interviewed individuals believe the resort should be renamed; 21% say the Wynn name should be kept. Shortly after the publication of a Wall Street Journal article detailing sexual allegations from former and current Wynn Resorts employees against Mr. Wynn, the Massachusetts Gaming Commission announced that it would investigate the reports and the appropriateness of Wynn Resorts’ participation in the state’s nascent casino industry. The state’s gaming regulator later confirmed that the probe would continue “aggressively” even after Mr. Wynn’s resignation. Gaming officials pointed out that the Wynn Board’s previous knowledge of the allegations and whether it had had any such knowledge would be among the most important points they would take into account during the investigation. It also became known that depending on the Gaming Commission’s findings, Wynn Resort could even have its casino license in Massachusetts revoked. There are also ongoing investigations in Nevada and Macau, where the gambling operator manages several hotel and casino properties.